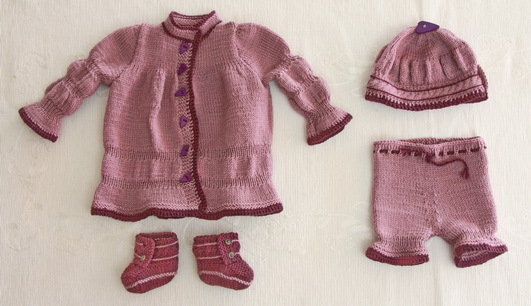 Doll dress knitting pattern - Model 0093D MELINDA - Dress, Hat, pants and Shoes. This patterns fits 17" - 18" dolls. ... thought it could be something new! And I liked the result! What do you think? After knitting the dress and pants I thought we needed a hat and a pair of shoes fro Melinda. 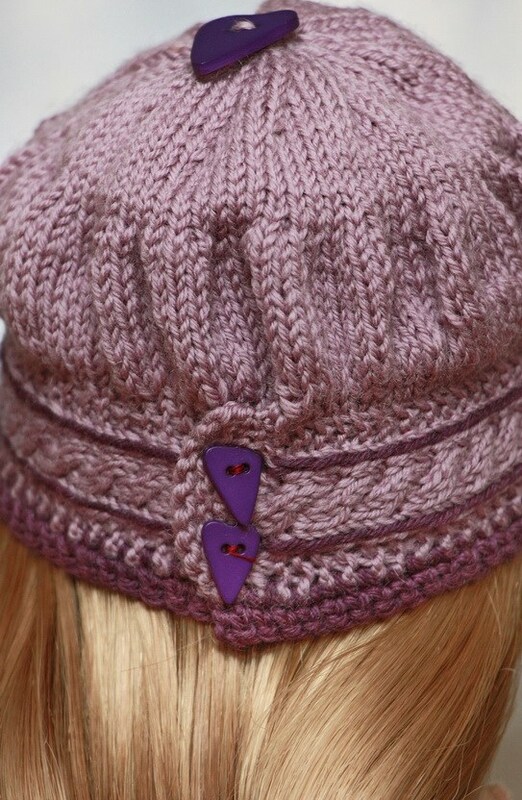 The hat has small cables across the hat and looks very posh to wear with the dress. 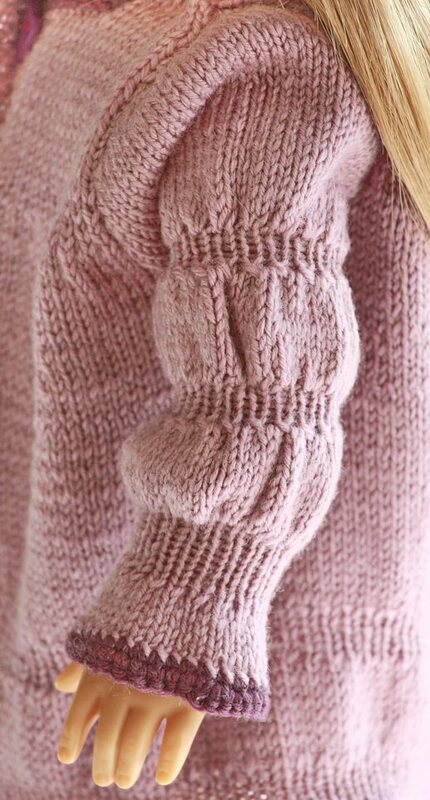 The shoes is knitted in dark lilac and have small buttons at each outside of the shoes. The shoes also have edges and stripes in light lilac. I think your doll wukk be dressed for any occasion, and that she will be very beautiful.